A flexible variety trialling system that looks beyond headline yields is required by growers in the UK, a survey suggests. This is a key conclusion from AHDB’s ‘Look Ahead’ activity, announced at the Agronomists’ Conference on 4 December. Look Ahead examines how people use the Recommended Lists (RL) and identifies how the variety trialling project can be improved. The RL provides information on yield and quality performance, agronomic features and market options to assist with variety selection. Look Ahead has considered more than 600 survey responses. As anticipated, mainly growers (52%) and agronomists (19%) responded to the survey. 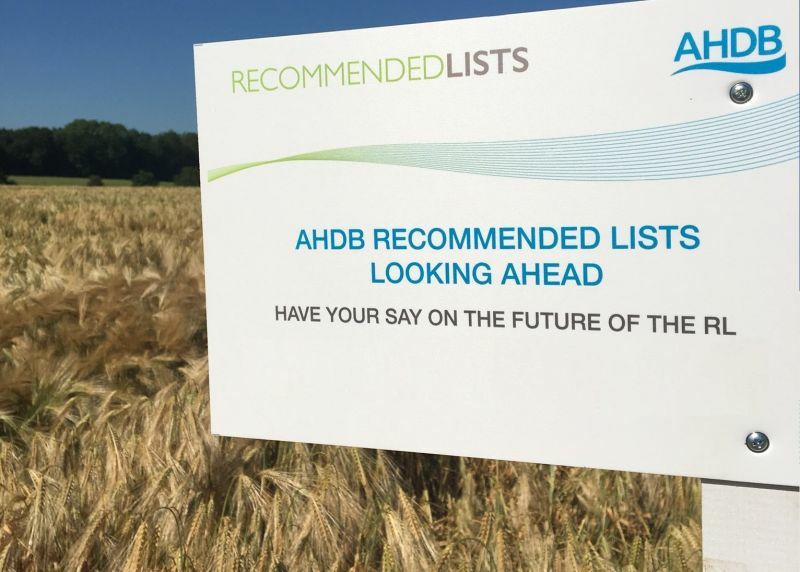 Jenna Watts, who oversees the production of the RL at AHDB, said: “One thing is clear: the industry is passionate about our world-class, independent variety trialling system and people want to see it go from strength to strength. Watts added: “As chemistry is lost and efficacy is eroded by resistance, farmers put a greater value on varietal resistance to disease. In fact, the whole variety package, including regional performance and potential market premiums, is being looked at more closely. Four working groups have now been established to provide advice on the direction on the RL. Each group will develop a costed action plan for consideration by the RL Board in summer 2019.